How Far is CS Harbour? Sigaram Associates proudly presents DTCP Approved & Govt Approved Residential Plots. It is located Just 1.5km from Minjur Railway Station surrounded by houses, & educational Institutions. 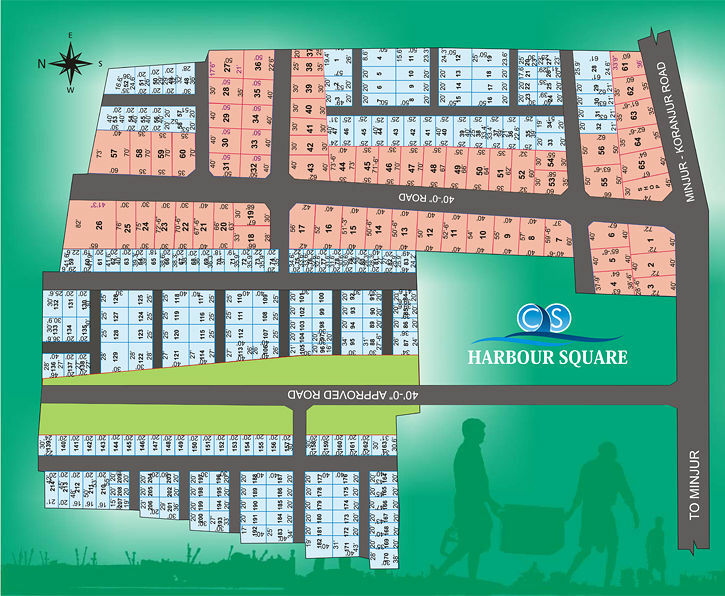 Just 1.5km from Minjur Railway Staion, Just 60 Minutes Drive from Chennai, From Parrys corner to our Site within 25km. From Koyembedu to our site within 30km. Sigaram Holdings Pvt Ltd was founded by Mr.R Chandrashekar, Popularly known as CS by his peers and clients, he believes in delivering quality rather than merely talking about it. Sigaram Group of Companies focuses on all 3 areas i.e Health, Wealth and Character. The Group started as CS Realtors in 2004 by Mr.R Chandrashekar, the then Founder and Managing Director, with the vision of making every man a successful millionaire. He bought a revolutionary change in the realty industry and played a big role in reaching it to the masses. He provides a chance for every individual to grow and emerge as a millionaire. People are always welcome to come home to ‘Sigaram Associates’ and grow under his able guidance.